In some occasions, in some places, it can happen that there is a shortage of music teachers. That is why their recruitement is a main priority – with students evaluation, instruction for children and music technology. To pursue music teaching as a career is an important decision that music students in higher education take because of remarkable teachers, experiences and events (for example the possibility to teach music younger students, concerts, competitions), parents influence and personal feelings (love of music, call to teach). 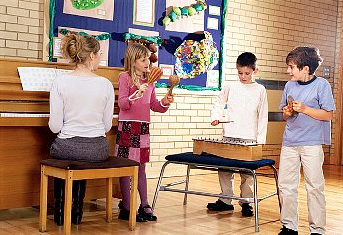 Practicing music teachers often continue to educate themselves via sessions and courses in a collegial framework. 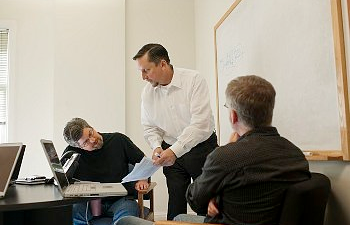 Collaboration and collegiality seem to be essential as teaching appears as a lonely profession (the teacher is alone in the classroom – not completely alone of course but alone to teach and to check the acquisition of the knowledge by the students). Music teachers want to feel important and involved in their professional framework, that is completely natural. For that reason, the principal plays in every place an important role of valorization and he brings information. As a lot of teachers spend time thinking, analyzing and writing about how and what they teach, the principal must help them to determine the best practice in the framework of their specific music school. Music teachers can tailor their professional experience thanks to various development programs for music teachers. These programs are often oriented on technology, assesment, creativity and writing. In matter of music technology, as all teachers employed in national, regional or local schools mainly teach classical music, they use software oriented on the score. The principal and a little circle of teachers generally generate new ways of learning, begin to use new tools and share them with the other teachers. And sometimes these ones share with their students. That is what I saw myself in a certain number of music schools, as I regularly meet directors and teachers to give information related to Pizzicato music composition and notation software. In every place, I meet cultivated music principals who often already chose a tool for their own work (exams preparations, concerts in the framework of their school, personal composition work, etc), Pizzicato or another one, sometimes they have several programs. Sometimes I also have the chance to meet a very motivated pedagog or pedagogic team really preoccupated by the diffusion of technology near youth because they know that if the students have some tool at home it will be an asset for them in the framework of music learning. For advanced teachers who already have skills in music technology and already master Pizzicato themselves, I recommend 8 products to write and compose music at special pricing. The complete program is presented here: http://www.arpegemusic.com/education.htm It offers exceptional discounts for very high quality software. I hope that, discovering and presenting them, music teachers will be able to deepen, renew and share their call for teaching. In a context which sees the importance of technology, a music software like Pizzicato can partly contribute to deserve the cause of Music.